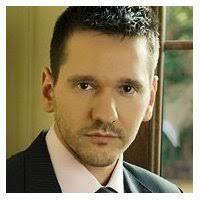 Wojtek Mijakowski is a Sales Manager for the UK market of one of the biggest independent book printers in Poland. He moved to London 12 years ago to develop UK maket sales for QuadGraphics. He has moved to Interak Printing House in 2014 where he has been responsible for developing the UK sales. He graduated from the Institute of Printing Technolgies of Warsaw University of Technology and he holds an MBA from WUT Business School. Wojtek has extensive sector experience and has worked in a number of different departments at printing houses for the last 15 years. He loves books, both reading and printing them. Interak is known internationally for its high-quality printing, short production time and local customer service. Our UK sales office is conveniently located in Battersea, London. We have all certifications required by our UK clients, including: ISO, PEFC, FSC, European Toy Standard of Conformity, Code of Business Practice Certification, SEDEX and Nordic Ecolabel Certification. Interak also has a well-developed digital printing department with 5 digital presses dedicated for short run printing. We can print 20-500 copies (paperback or hard back) within a few days and deliver them by courier to the UK. If you would like to find out more about book printing opportunities in Poland, please contact Wojtek Mijakowski at: Wojtek.mijakowski@interak.pl or at +44 (0) 7872964547.